Why was leprosy such an issue in the Bible? In this week’s reading, the issue of leprosy comes up, and God is very precise in His instructions regarding how to handle the disease. Leprosy is a very contagious skin disease, and easily spreads from person to person. For this reason, a person who was diagnosed with it in the time of the ancient Israelites had to stay outside the camp, meaning s/he had to leave his family, friends, and personal dwelling, and was forbidden from offering sacrifices in the sanctuary to the Lord. It was very obvious from the outside that a person had leprosy, and no one wanted to be near this unclean person or touch him. You could say anyone with leprosy was shunned, and was basically an outcast! Note here that the priests had to examine the outer condition of a person’s appearance in order to determine if s/he was clean or unclean. While they were doing this to protect the rest of the people from catching this deadly disease, we can consider a possible deeper meaning of how we judge someone on his or her appearance. We should be very careful not to judge a person based on what we see on the outside; the Lord cares about the heart, and He desires for the “inside” to be cleansed and purified over the outward appearance. Note that it took a lot of faith from the leper to come to Yeshua (i.e. into the camp). He defied the social norm and religious rules of the time by daring to associate with a clean person (Yeshua); the leper risked causing Yeshua to be unclean! Yet, Yeshua “moved with compassion”, stretched His hand out and touched the leper, which healed and cleansed him. While the text does not explicitly refer to it, I believe the leper was also healed spiritually. The leper’s testimony was amazing proof of the authority that Yeshua had, and as a result many others wanted to come and receive healing as well. What’s your testimony of the Lord’s healing in your life, physical or spiritual? Let me encourage you to share it so that others can also find healing in Messiah! Not should people be segregated into communities in the name of progress. Our humanity cause us so much harm, the sad part is, it also blind us from seeing the harm we do to each other. 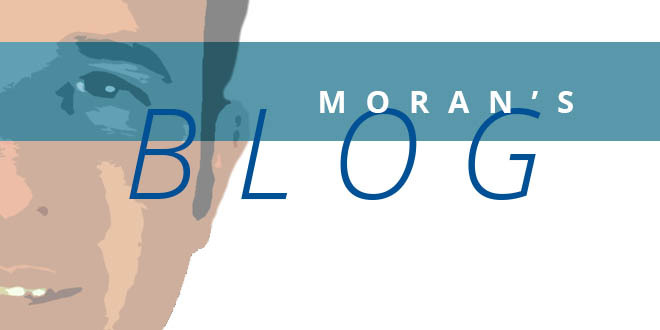 Brother Moran, thank God for the insight He’s bless you with.